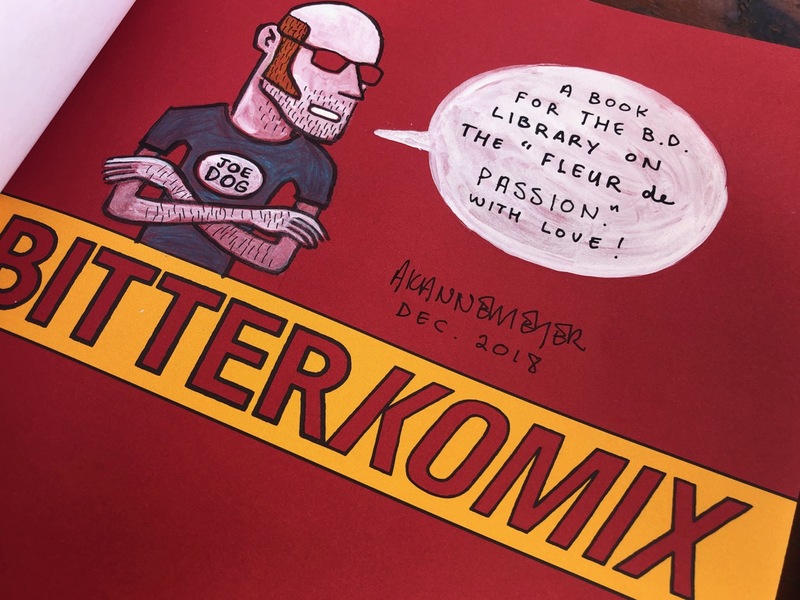 The Swiss comics author is back on Fleur de Passion this January 2019. 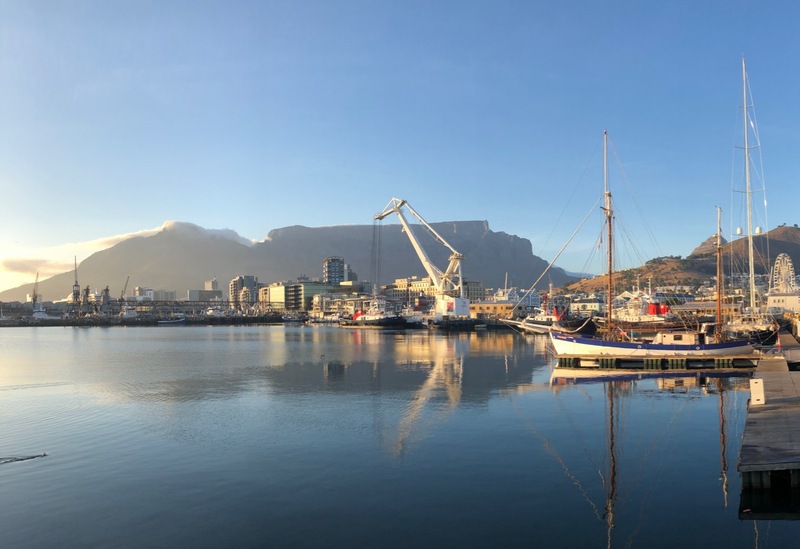 This time, it's happening in Cape Town, in other words more than a year after he came on board in Indonesia in late 2017. 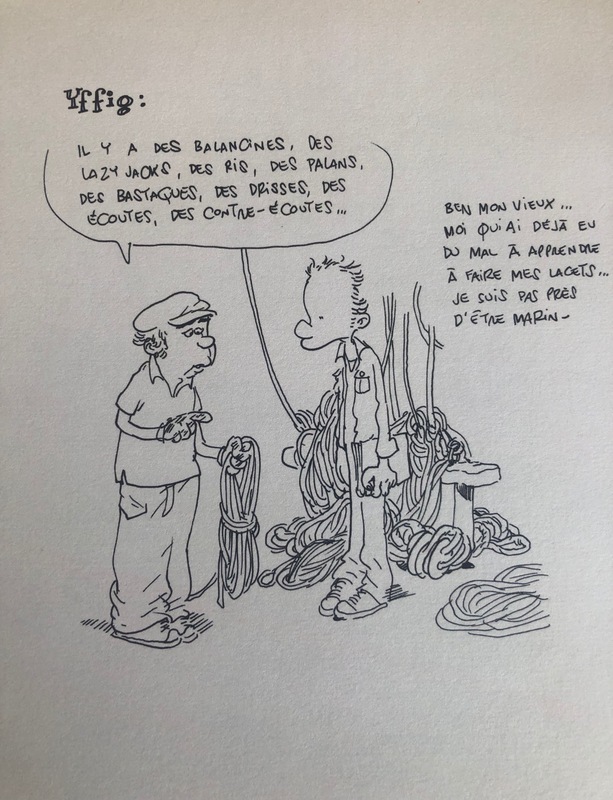 The reason is also totally different: every morning, he organizes workshops for local cartoonists or illustrators, students or adults, professional or just practitioners, quite an unusual way to give exposure to the expedition as well as to the Swiss comic scene in a country rather marginal from the major centers of gravity Europe, the US or even Japan. 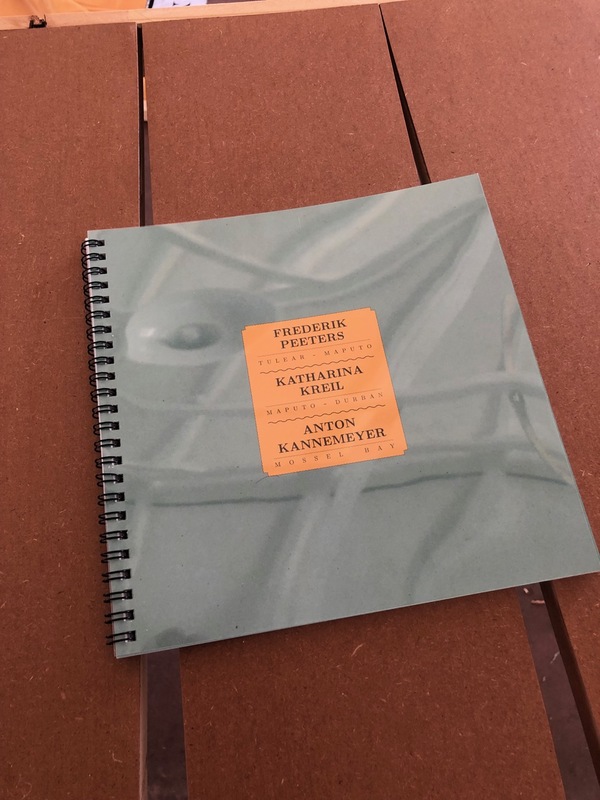 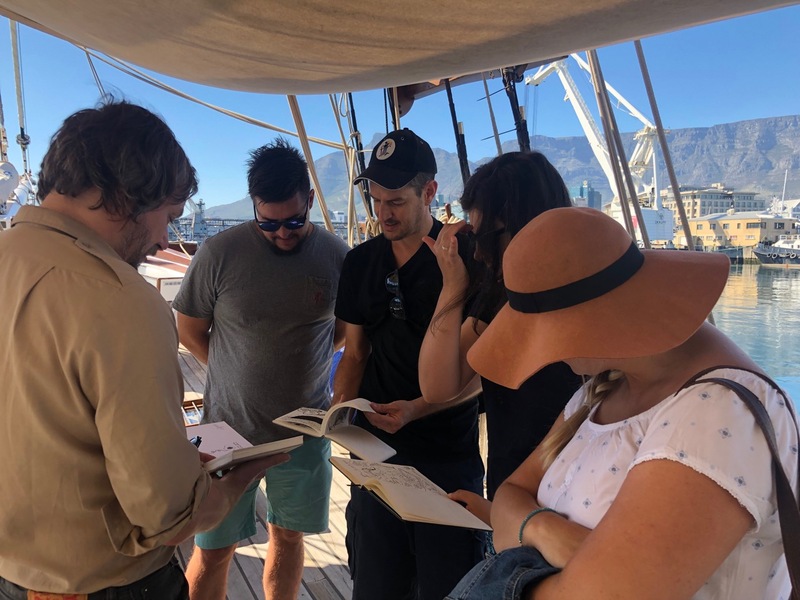 This Tuesday 8 January, a first group of 4 people inaugurated the sessions, invited by Anton Kannemeyer, the South African exception (with his colleague Conrad Botes and a few others), an internationally recognized talent in his field. 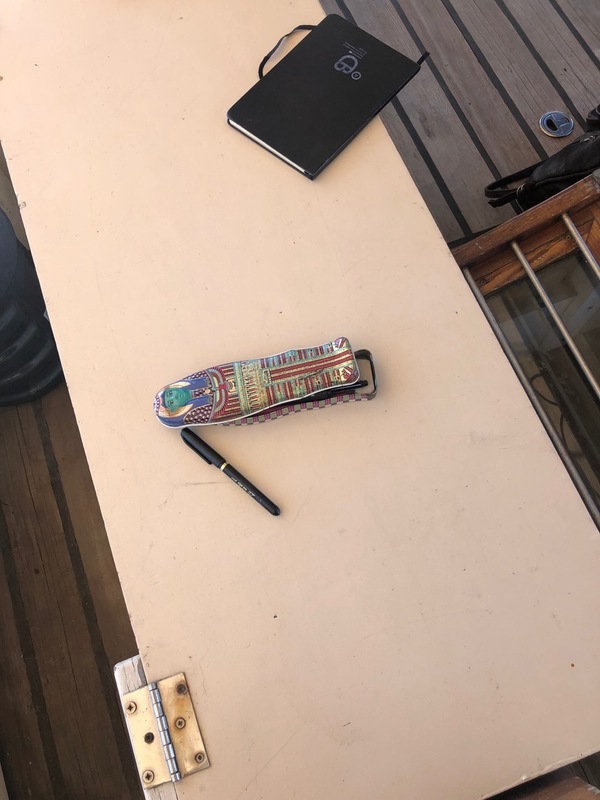 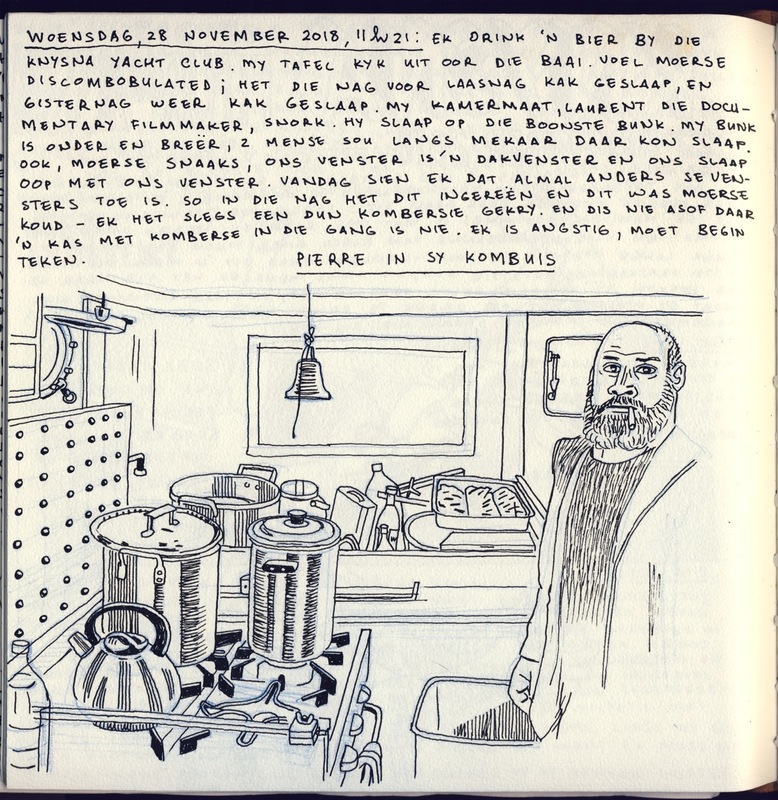 After coming on board in November along the eastern coast of the country, the South African cartoonist had very kindly opened his address book. 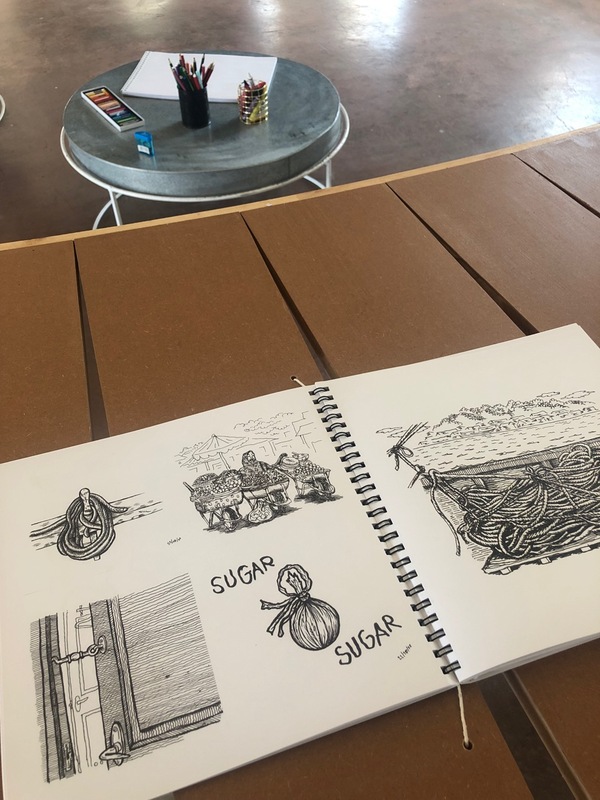 Once the creative exercises proposed by Baladi were over, participants visited the nearby exhibition "Our Spice Islands" and discovered the entire production of the 17 illustrators who took part in the cultural program of the expedition. 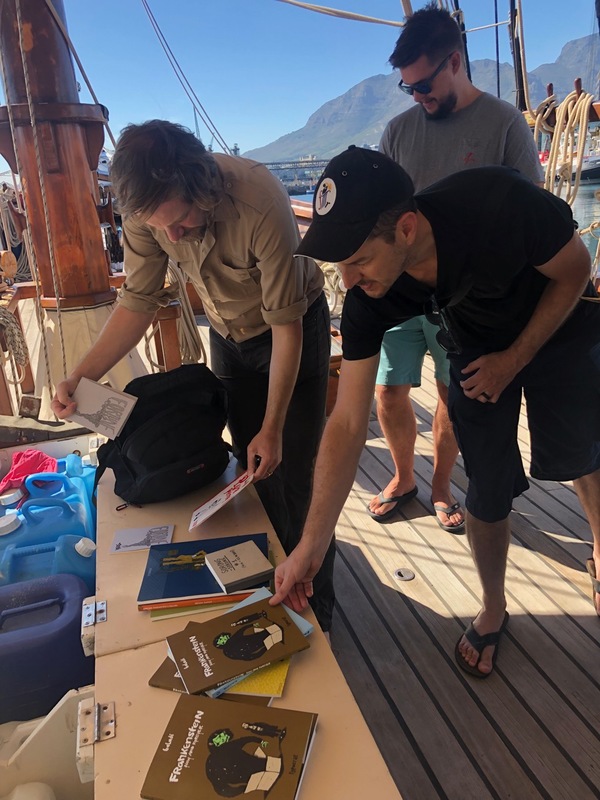 Several other groups will follow until the weekend, of all ages and different horizons, benefiting from an initiative of the Pacific Foundation with the support of the Swiss Embassy in South Africa and Pro Helvetia in Johannesburg. 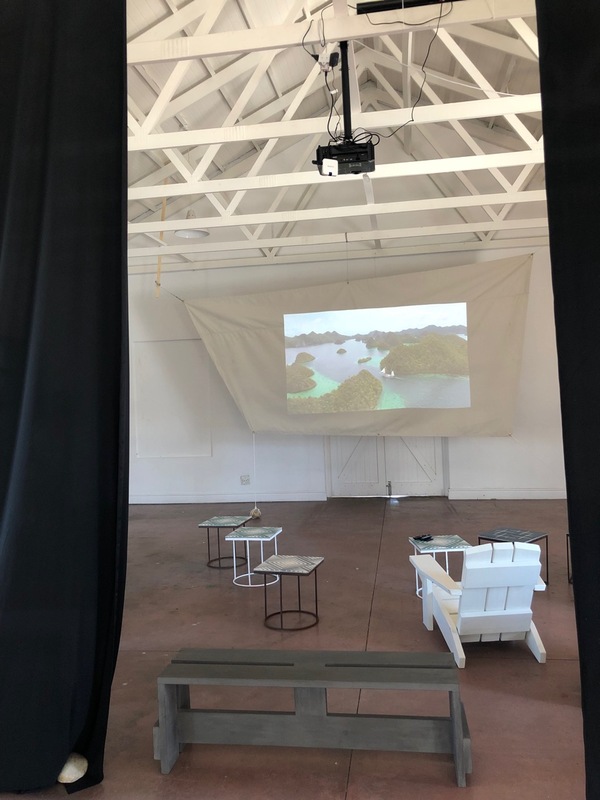 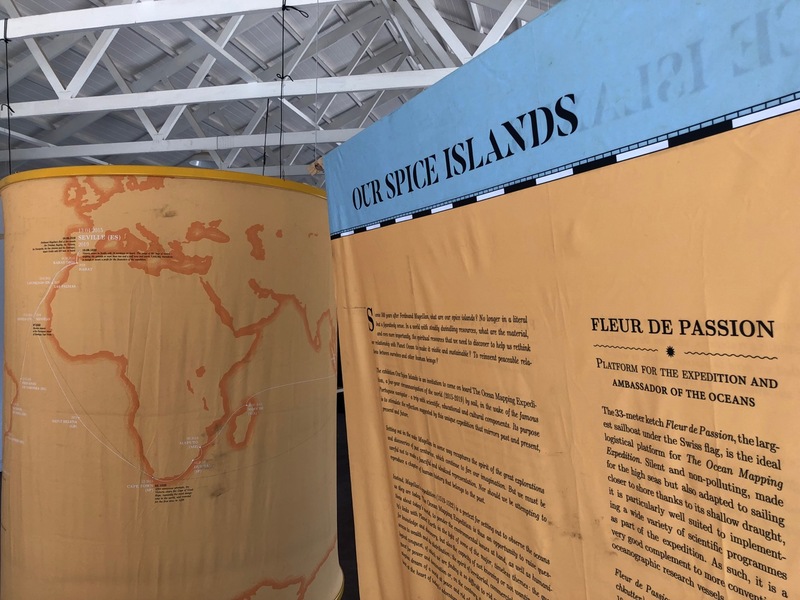 Renamed "Our Spice Islands" for the occasion, the exhibition initially deployed in 2017-2018 at the Bibliothèque de la Cité in Geneva (the main public library) opened on January 3, 2019 in Cape Town, in the Luggage Hall of the V & A Waterfront, in the immediate vicinity of the boat moored at Quay 6. 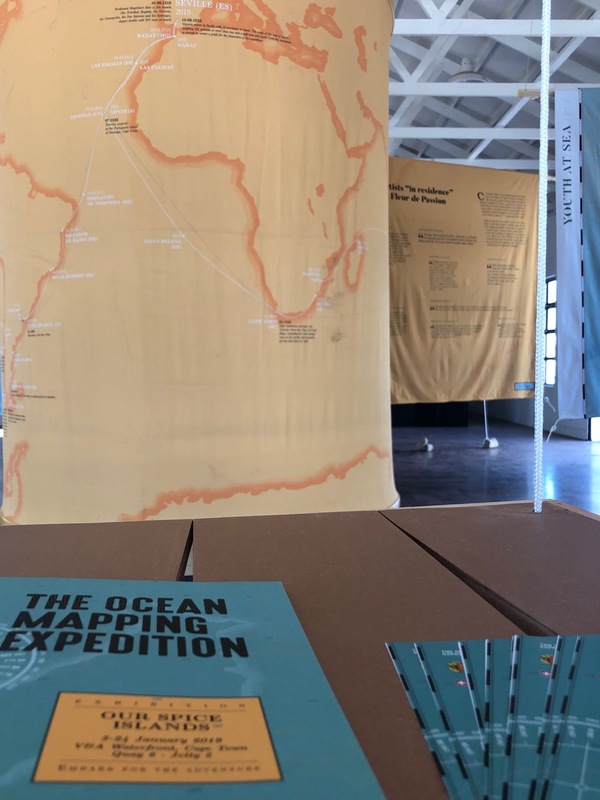 The exhibition is a first because it's the first time it is deployed outside Geneva as part of a stopover of the expedition. 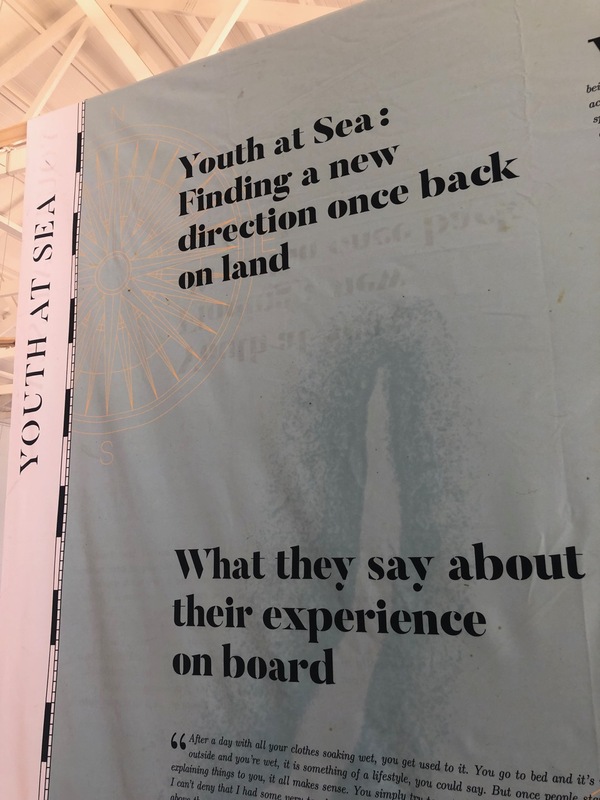 As in Geneva though made of soft fabric somehow looking like sails, panels display the spirit and the different facets of the expedition, while videos of the history of Fleur de Passion or documentaries along the world bring additional perspectives to the project. 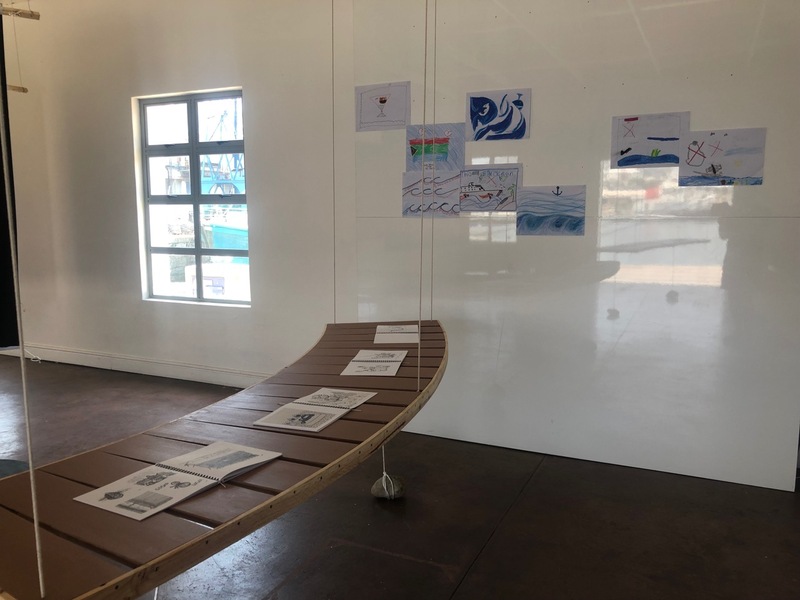 In addition to the presence of the sailboat who is open in parallel to public visits as at each stopover, the novelty of the exhibition compared to Geneva is the staging of the cultural component of the expedition, and in particular the work of the 17 artists who have succeeded one another on board since the departure from Seville. 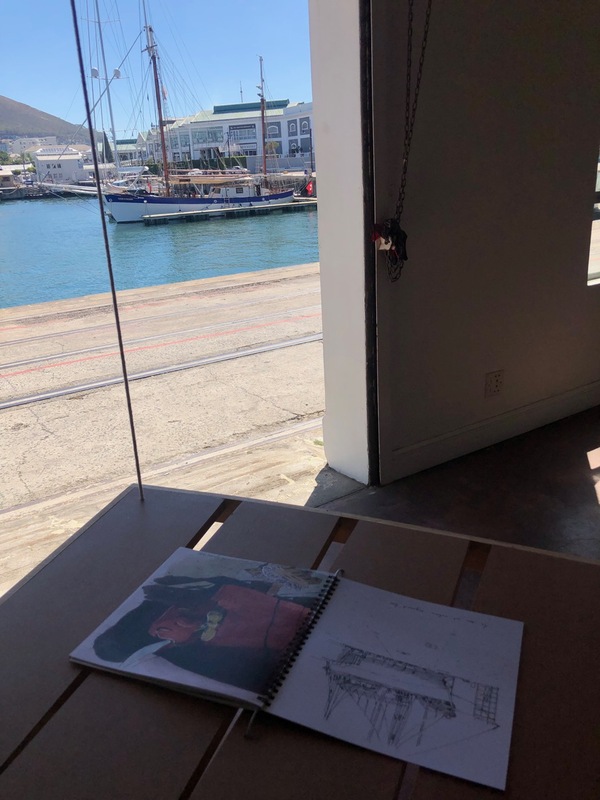 Their drawings, sketches, watercolors or engravings are grouped into eight facsimiles of about fifty pages each, which visitors are invited to browse at their own pace. 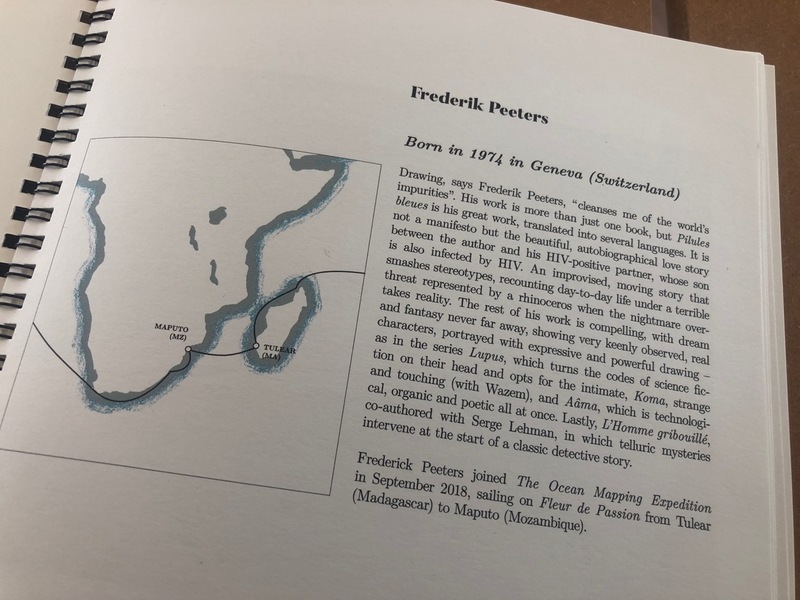 A short biography of the author with a map showing their navigation "in residence" as part of the expedition help to introduce the local audience to the Swiss-Geneva tradition in terms of comics and illustration. 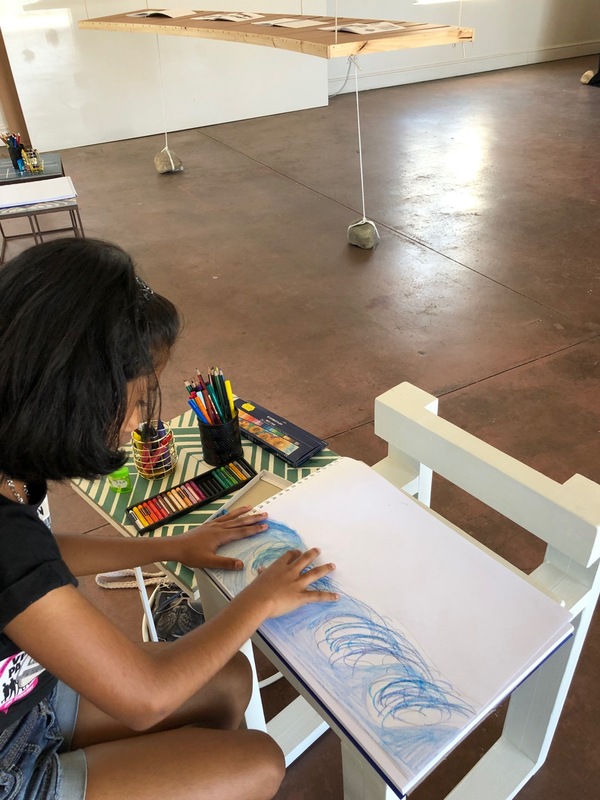 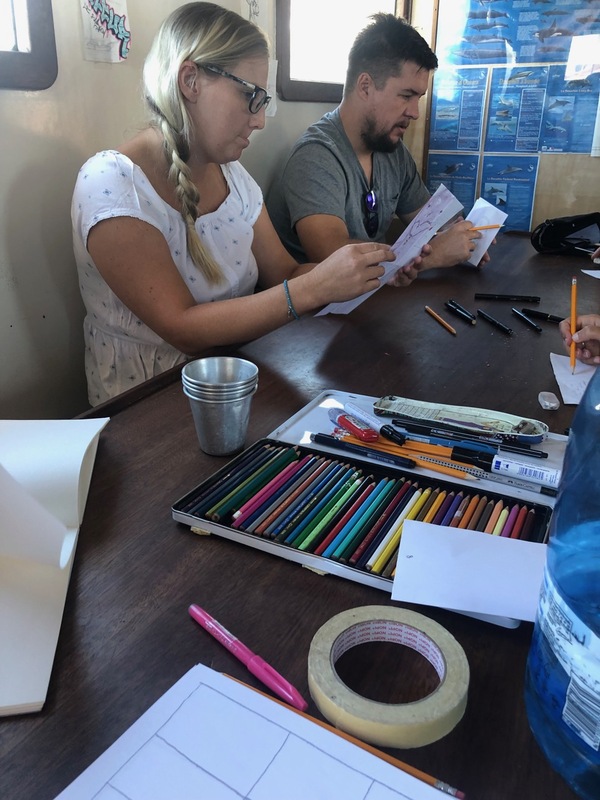 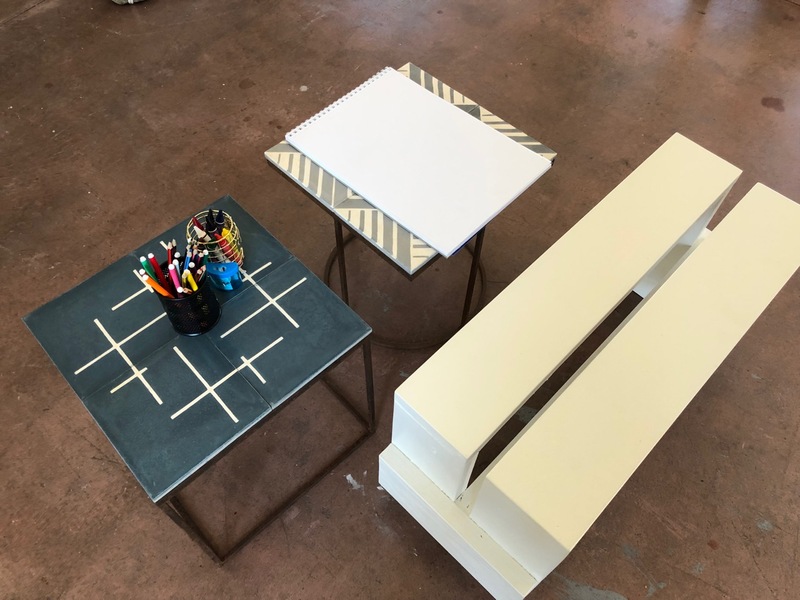 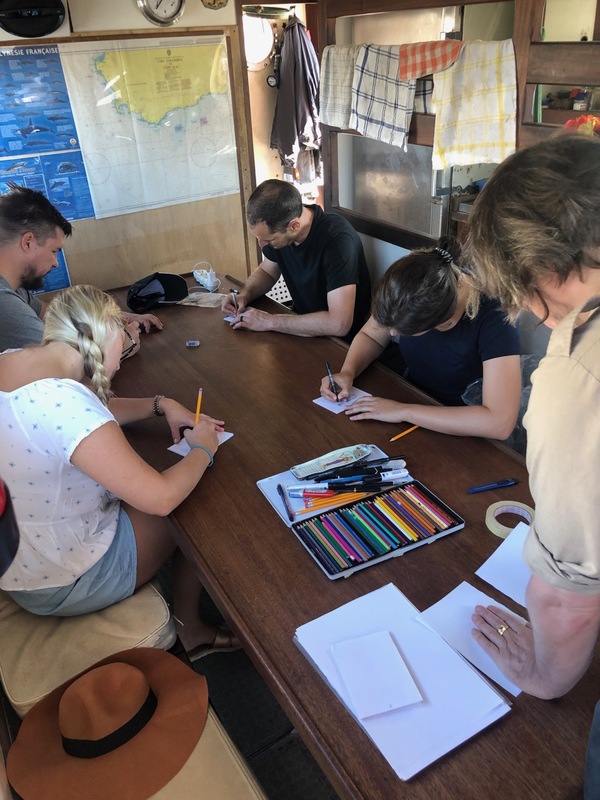 Another special feature is that children are invited to participate in a drawing contest on the theme of the oceans and the first young visitors were enthusiastic about the game. 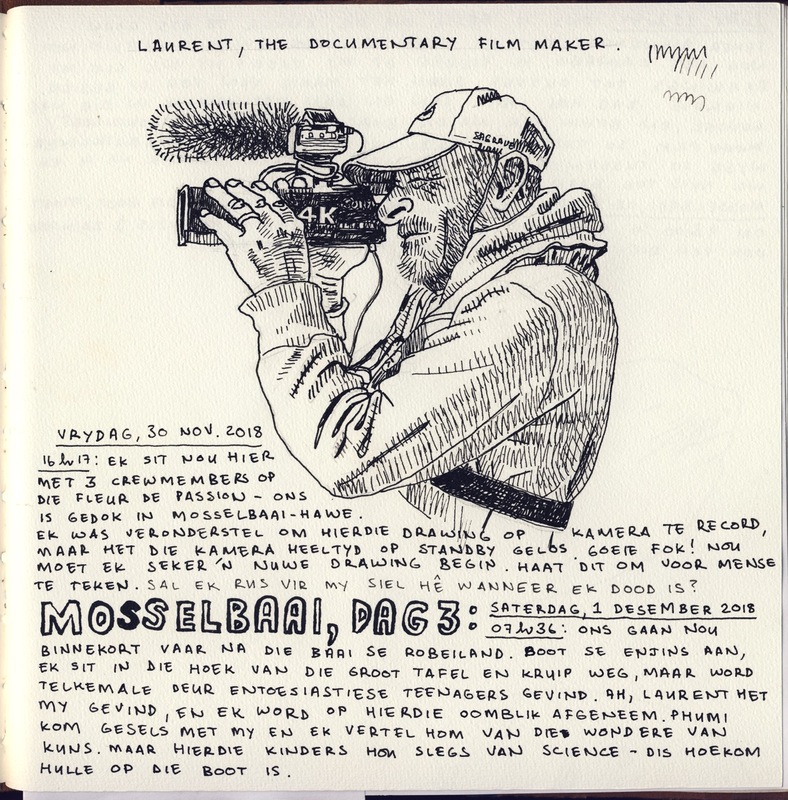 Swiss and South African cartoonists Alex Baladi and Anton Kannenmeyer will be on the jury. 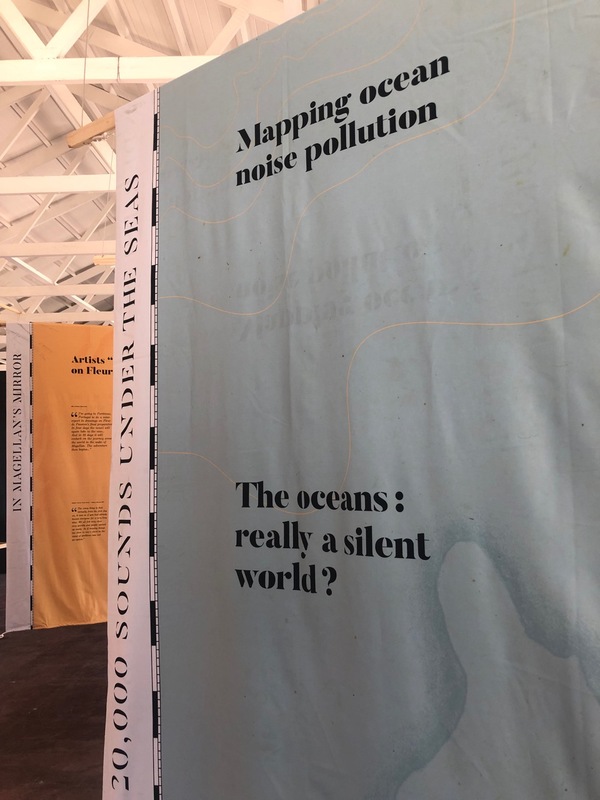 The exhibition is free access every day until January 24, without interruption from 10am to 6pm. 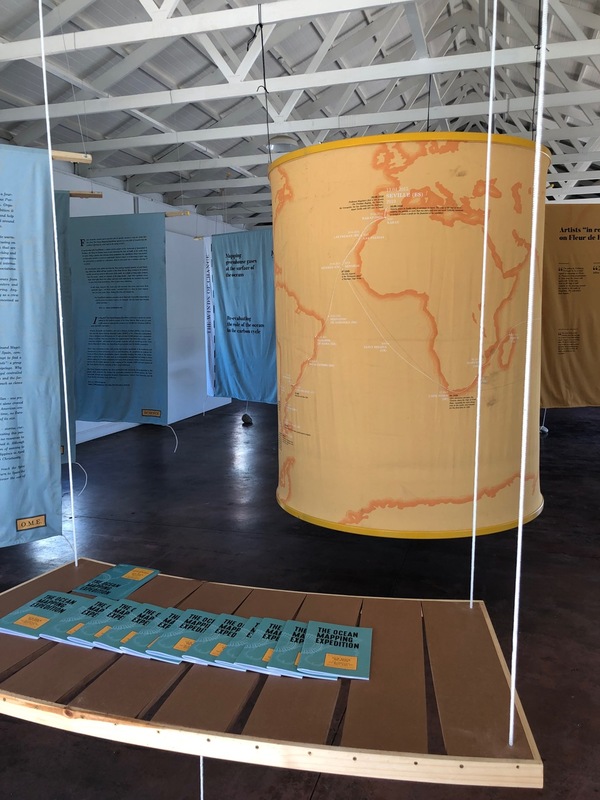 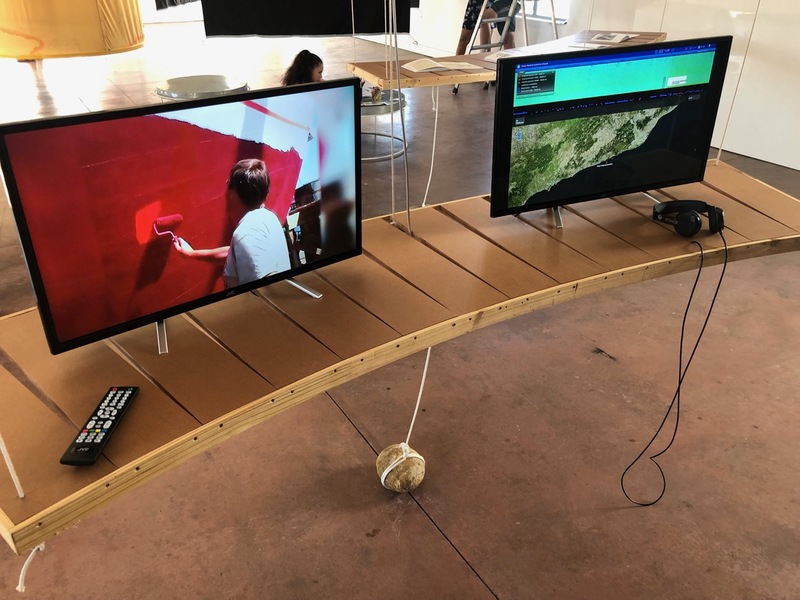 The exhibition was supported by the Office of Culture of the Canton of Geneva, the Swiss Embassy in South Africa and the Consulate General in Cape Town, as well as Pro Helvetia. 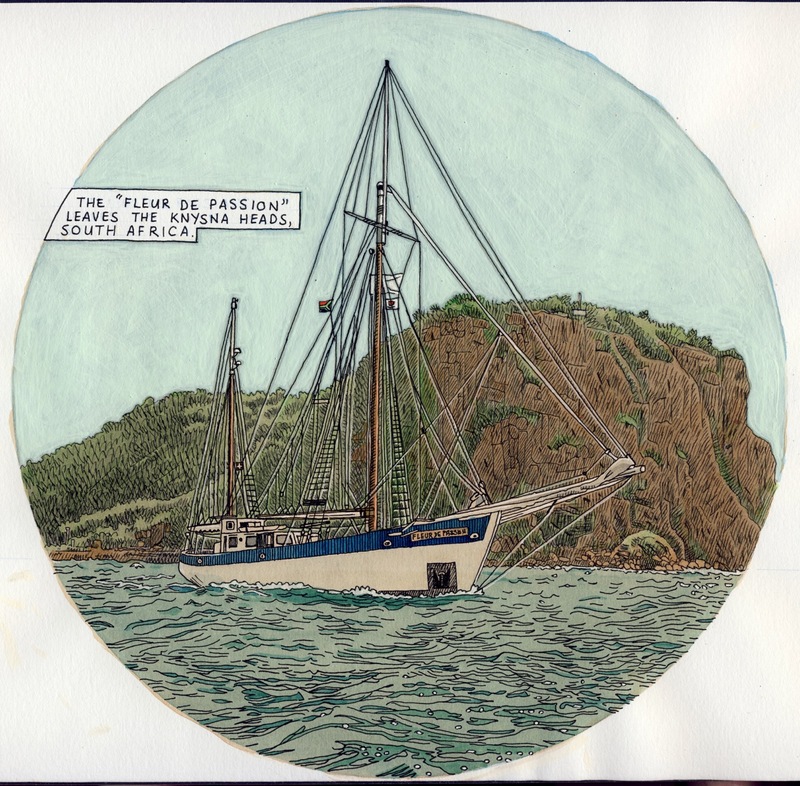 May they be warmly thanked here. 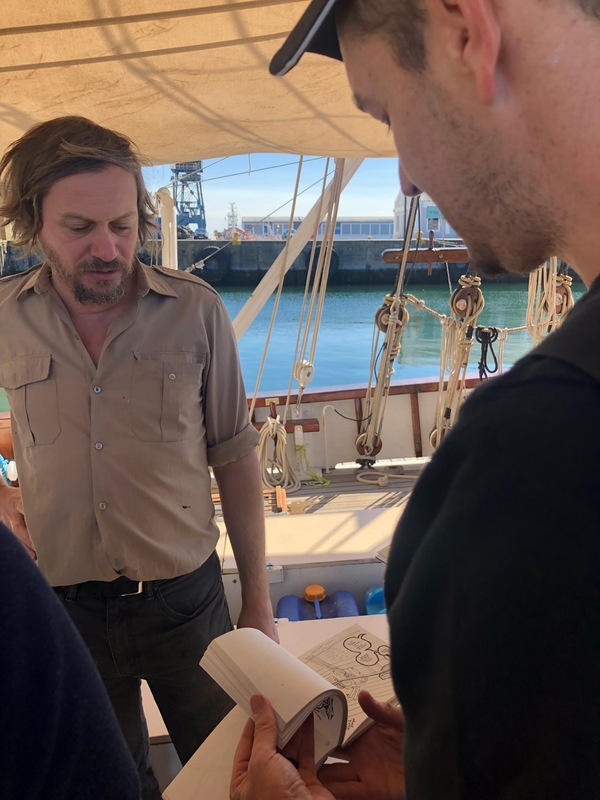 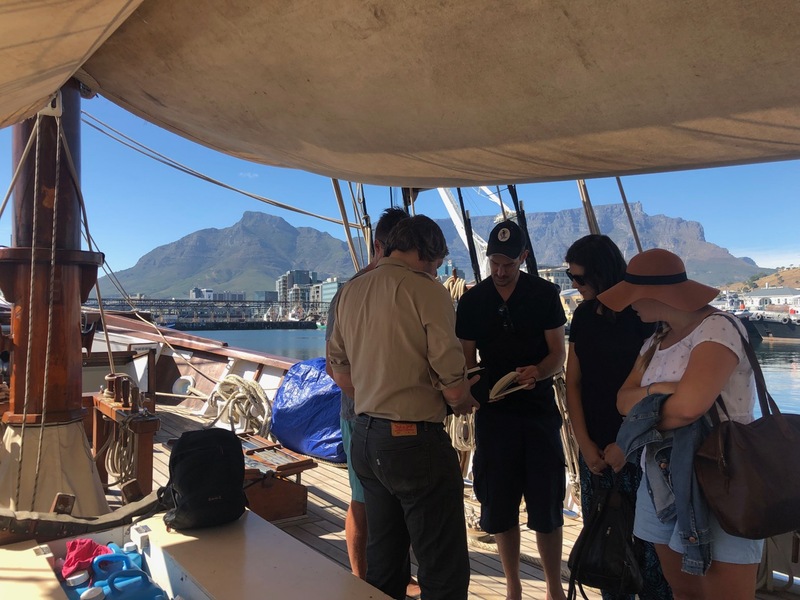 The presence of South African cartoonist Anton Kannenmeyer aboard Fleur de Passion hasn’t gone unnoticed by the local media. 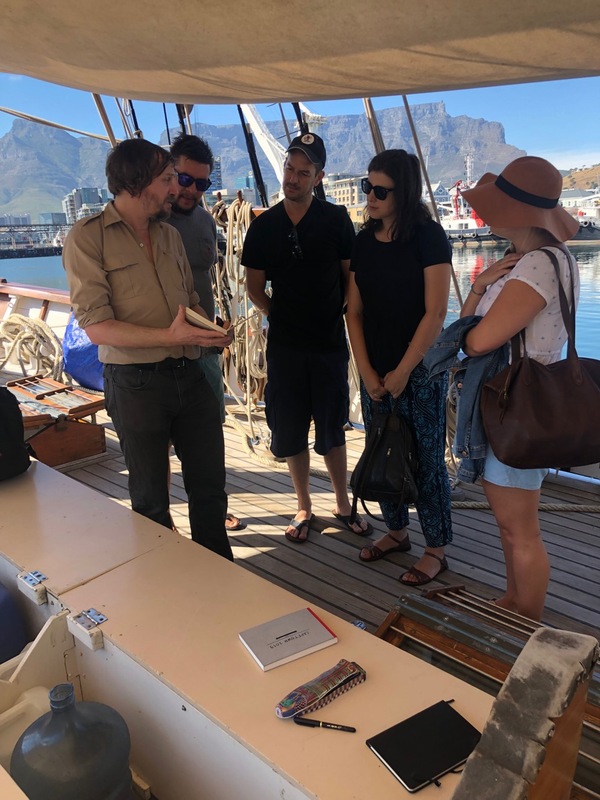 The internationally renowned author had embarked for a week at the end of November-early December 2018 in Mossel Bay, just before Cape Town. 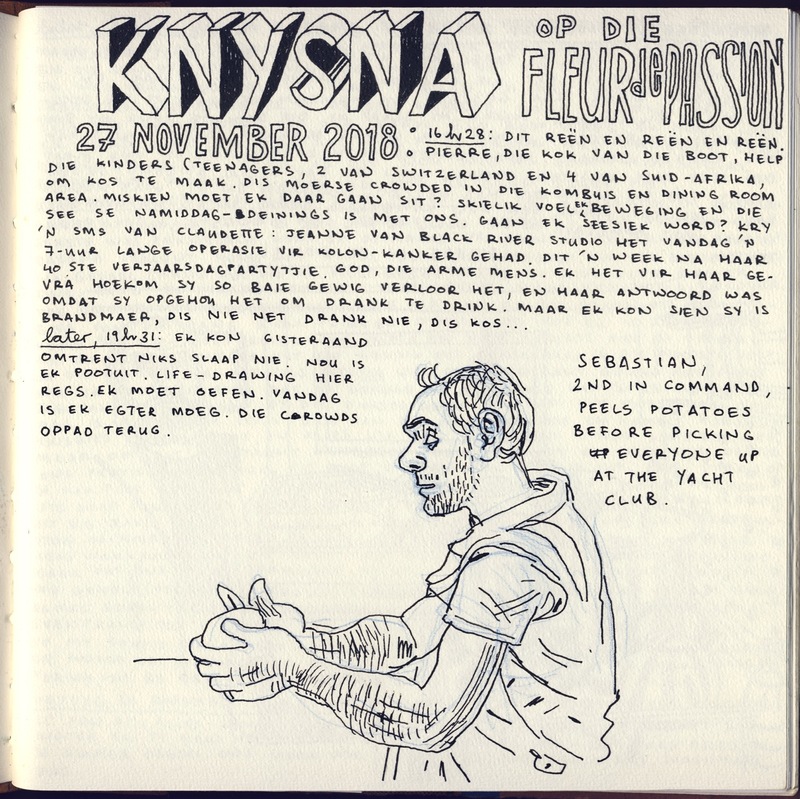 And the Afrikaans daily newspaper Die Burger collected the impressions of the man who made himself famous for his squeaky satires of the social and political reality of his country. 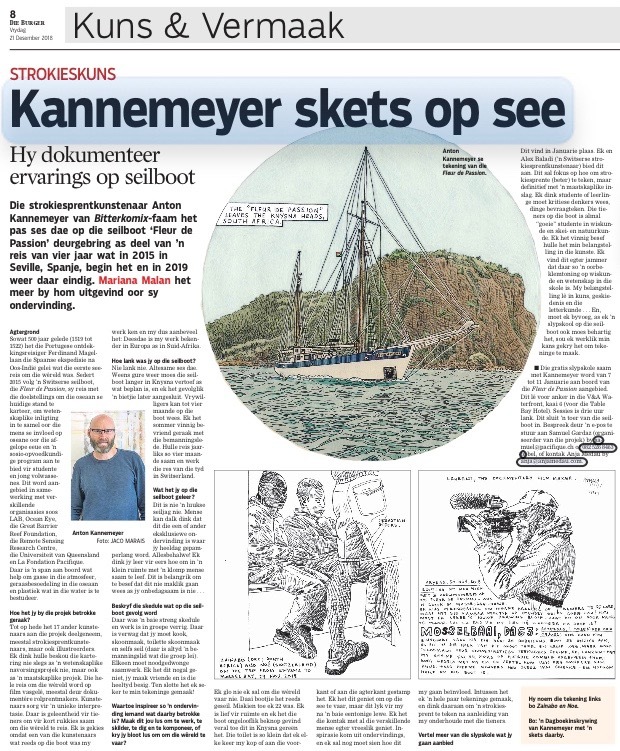 His drawings made on board will be visible in facsimile form as part of the exhibition "Our Spice Islands" that will open 3 to January 24, 2019 during the stopover at V & A Waterfront in Cape Town from - like those of all the other comic strip authors and illustrators - mainly Swiss - who have embarked from the departure in Seville. 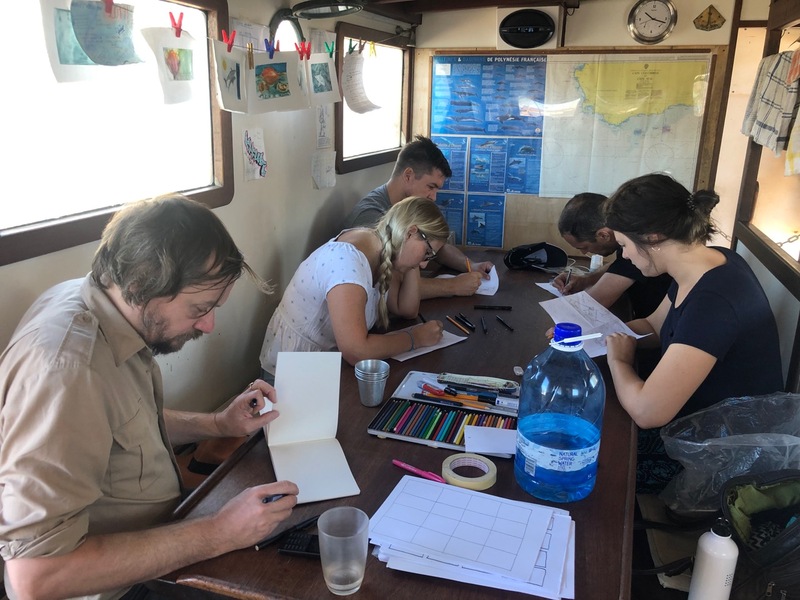 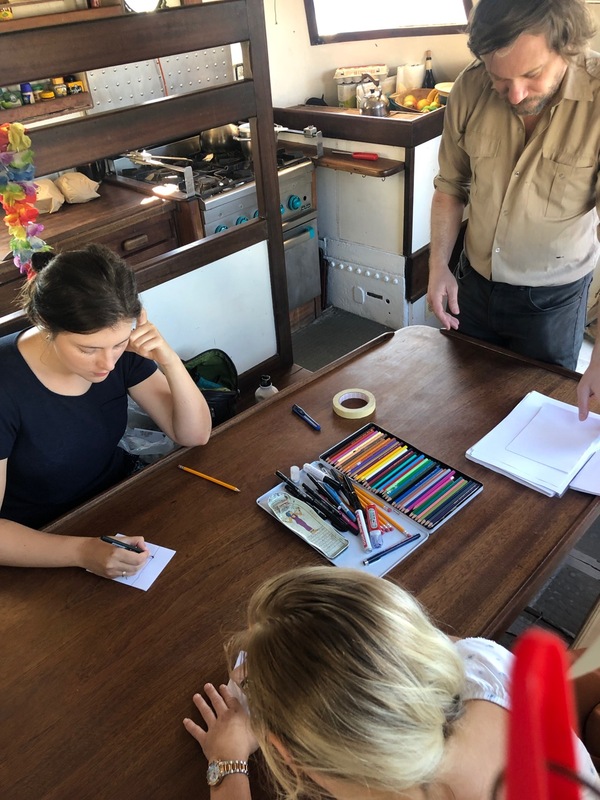 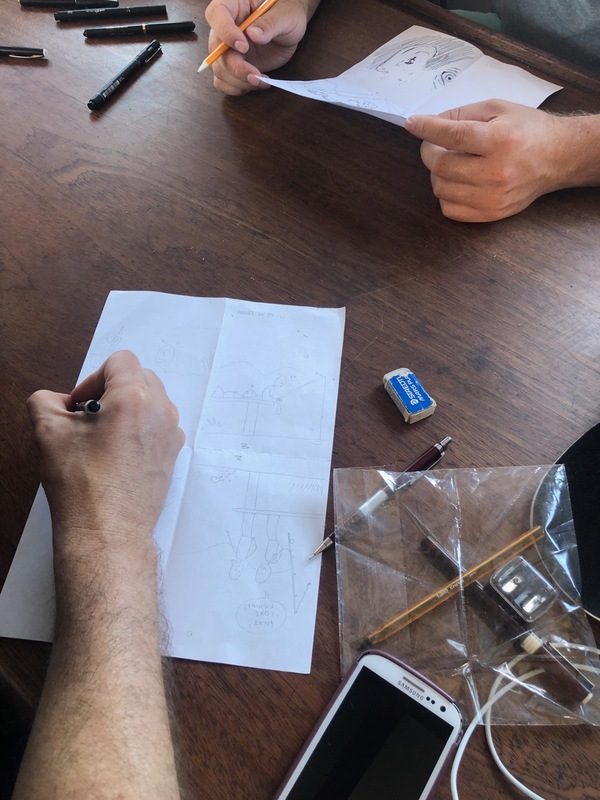 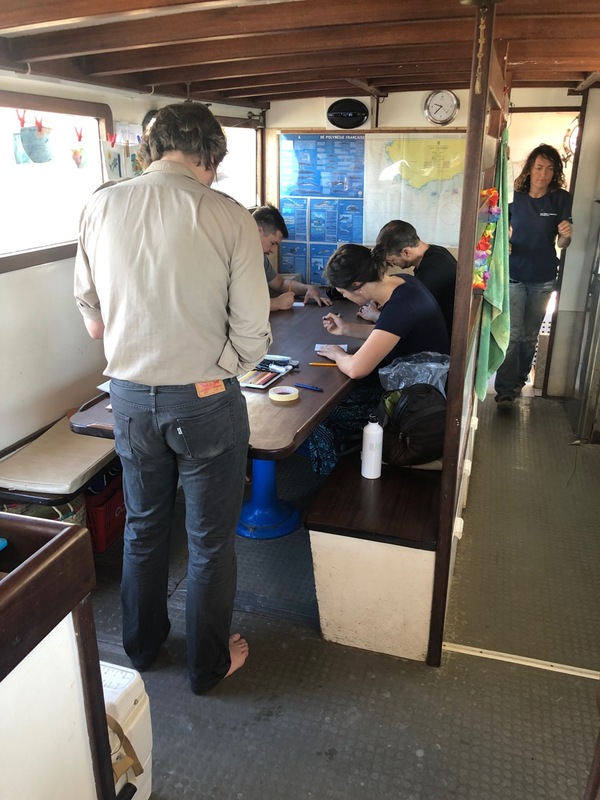 From January 7th to 12th, Anton will come aboard once or twice to participate in one of the comic book workshops that will be organized in the presence of the Swiss author Alex Baladi, one of the seventeen authors of the expedition to date.